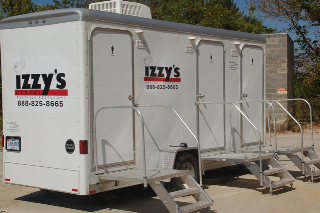 Located in Bloomington and serving the surrounding areas, Izzy’s Rental is your one-stop shop for reliable portable toilet rentals. Izzy’s is dedicated to making sure that you have the best rentals you need for any occasion. You will not be disappointed with the service you’ll receive and deserve! E-mail:cindi@izzysrental.com We also offer hand wash stations for any event and wheelchair accessible units. Please contact us today for the lowest rates!